Australia's Future Answer To 'Dynamo'? The likes of Britain's ultra-cool, urban illusion super-star, Dynamo, have changed the modern magic landscape for the better. 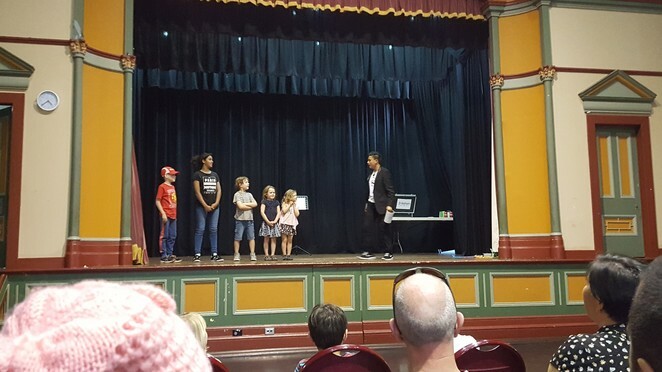 Gone are the cheesy routines and 'lovely assistants' of the Copperfield era, replaced by smart, street-wise, young illusionists, appealing to a new generation of magic fans. 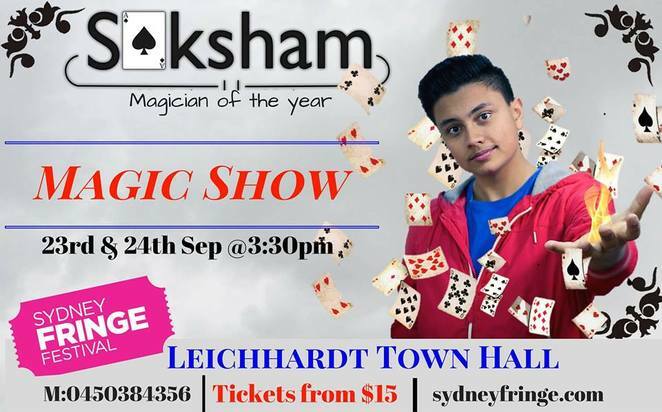 As part of the Sydney Fringe Festival Kids' line-up this September school holidays, Saksham will perform his Magical Madness tour at the Leichhardt Town Hall on the 23rd and the 24th. And if you miss out this time, watch for this aspiring Houdini at a venue near you. He's hard working, media savvy and determined to succeed. Press for the tour describes Saksham's Magical Madness as a non-traditional magic show, combining "astonishing illusions with comedy and dance." It's a "complete family show and caters to all age groups - kids, teens & adults." After taking in the Saturday afternoon performance with my four-year-old, I'd agree with this description. The show has a casual, 'fringe' feel to it and Saksham has a refreshing charm, with an easy-going style, rather than the slick, arrogance of magic's 'old guard'. 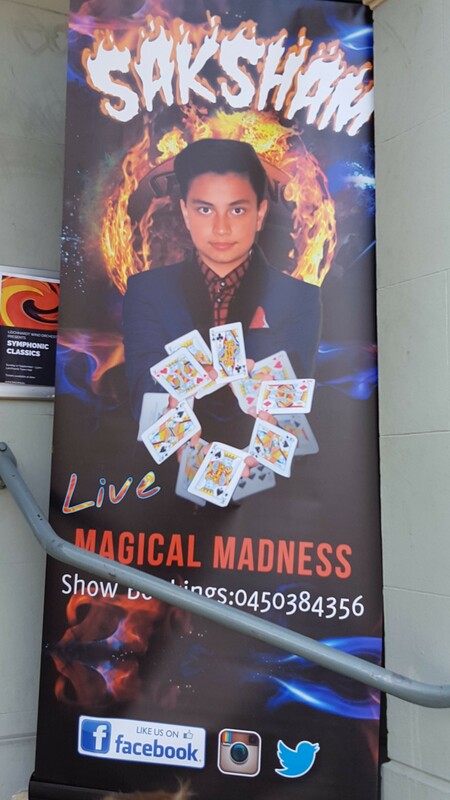 I won't pretend that the young illusionist doesn't have room to grow but the beauty of his show is that it is by a young performer, for young people. The audience was full of children under ten and as young as three and four. A tough crowd! 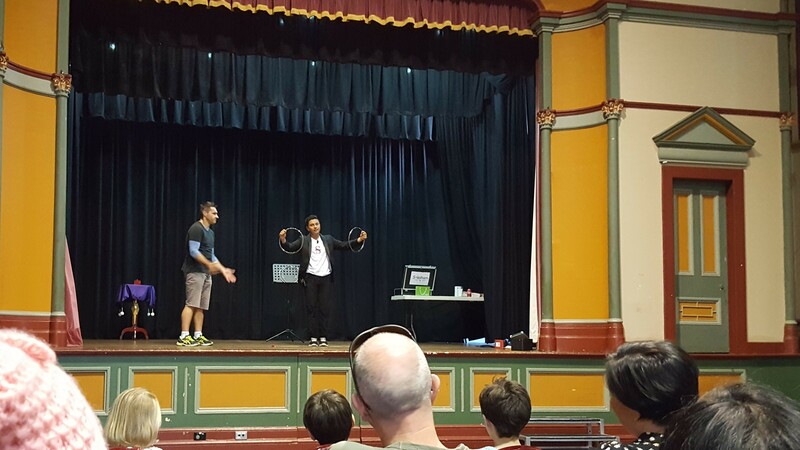 For many, this may have been their first magic show and from the reactions and keen audience participation, it seemed to go down very well. My son told me it was 'great magic' and though I'd seen tricks like the 'linking rings' many times before, they were skilfully done. I could see the same wonder in my child's eyes, that I experienced when exposed to magic as a child. One of Saksham's specialties is card tricks and I was impressed by the way he engaged the crowd (myself included), with his charismatic "Saksham Shuffle", his humour, audience participation and well-developed routines. In a world where TV magicians are openly sharing the secrets of their trade, the key to keeping magic relevant is finding new interpretations on old illusions and playing perfectly to your target audience. Saksham does this with a short and sweet show, timed at an hour with a 10 minute interval for the littlies to run off all that energy they have saved up from sitting still. And as with any show aimed at kids, you need to expect the unexpected. Never act with children or animals they say but Saksham keeps it real and bounces off his young cast of audience volunteers, brilliantly. Imagine what he could do with a big budget behind him one day? I'd love to see this enterprising, young Aussie performer make it big. And if you can't make this weekend's performances, keep up to date with Saksham's appearances at www.sakshammagic.com, or watch Saksham's Magical Show Reel here. 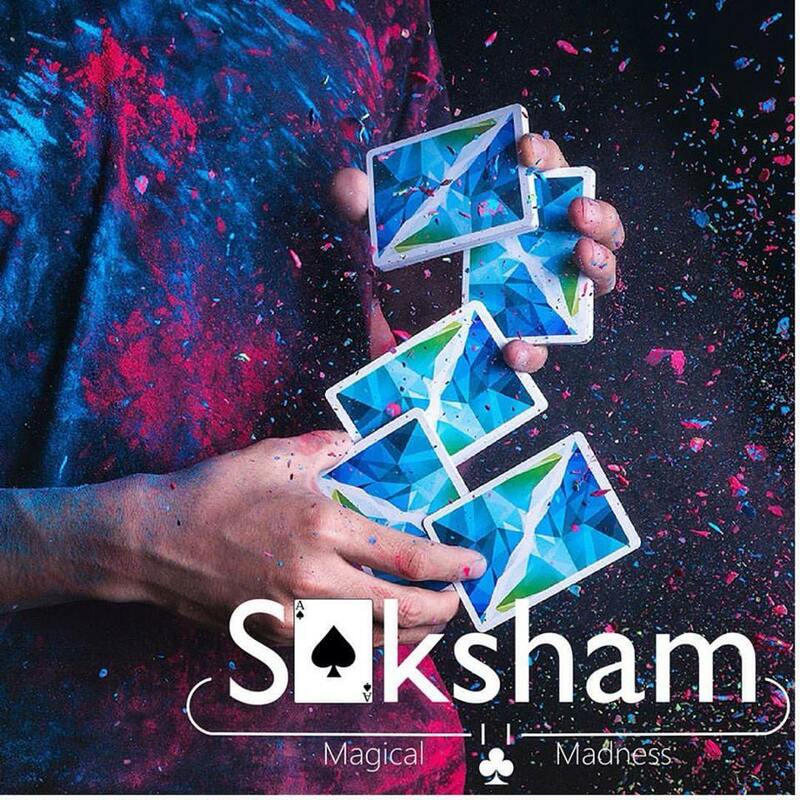 Saksham is also available for magic show bookings at your next party or event.